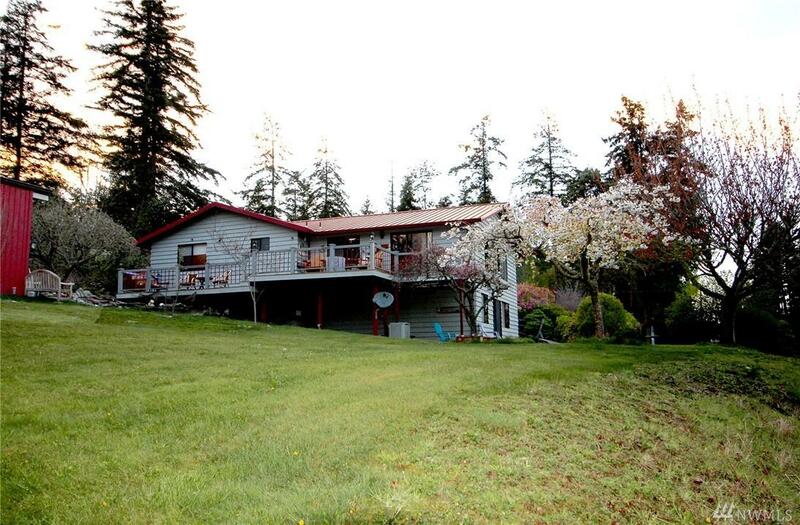 Beautiful home situated on a cul de sac with view of the water & Indian Island. 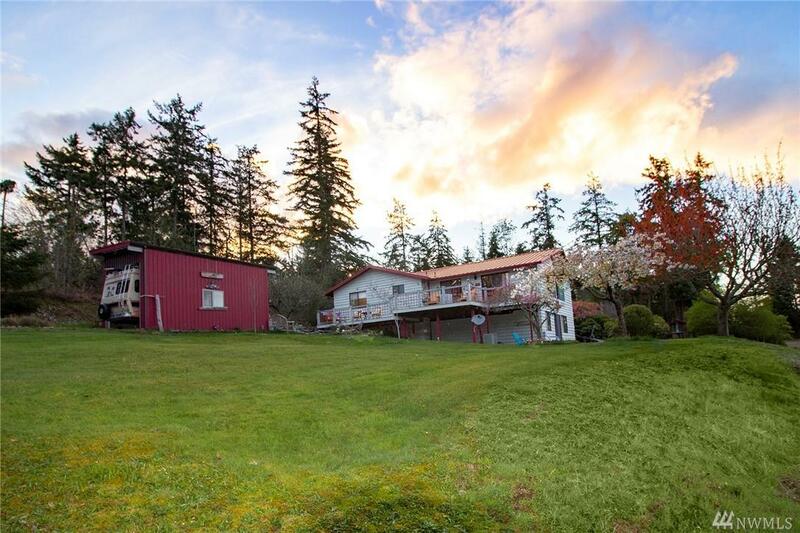 This home is just a walk down the hill to QFC, free boat-launch & marina. 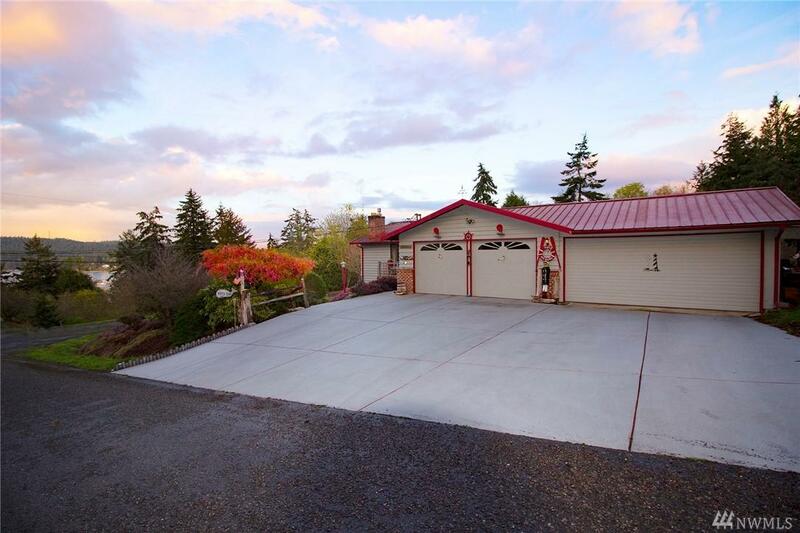 Vaulted ceilings, large living room, remodeled open kitchen, & fireplace with wide-angle views. Bathrooms have been remodeled. Finished downstairs with bedroom and possible 1/2 bathroom. 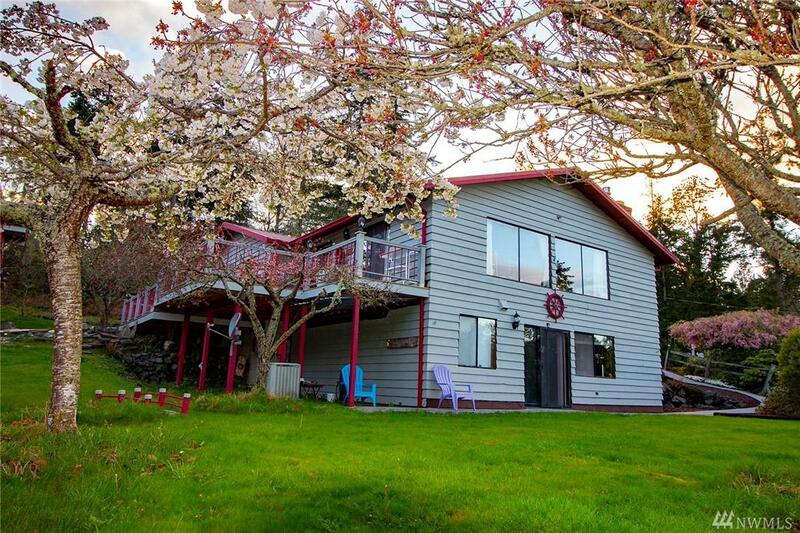 Pond in the back, large private deck, 4 bay garage, detached rv garage for boats, rvs and toys in back with separate driveway. NO HOA Must see Will go fast!